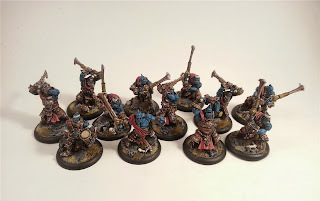 Legio Minimus: Trollbloods - Fennblades Complete! This unit took the longest out of anything I have painted for this army. Almost killed me lol. I dont know why but it got to the point where every time I sat down to work on them I looked for something else to do (like play through the Last of Us...twice! lol). Eventually though I hunkered down and just got it done. Now that it is finally finished though I am super happy with how it turned out. 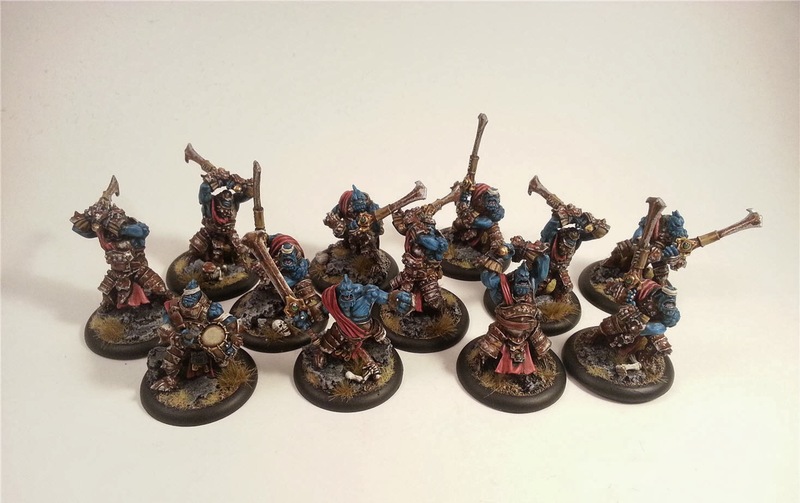 It also feels good to see my Trolls starting to look like a real army, not just a whole slew of beasts with an old troll wizard leading them lol. Next Up: Another Caster! 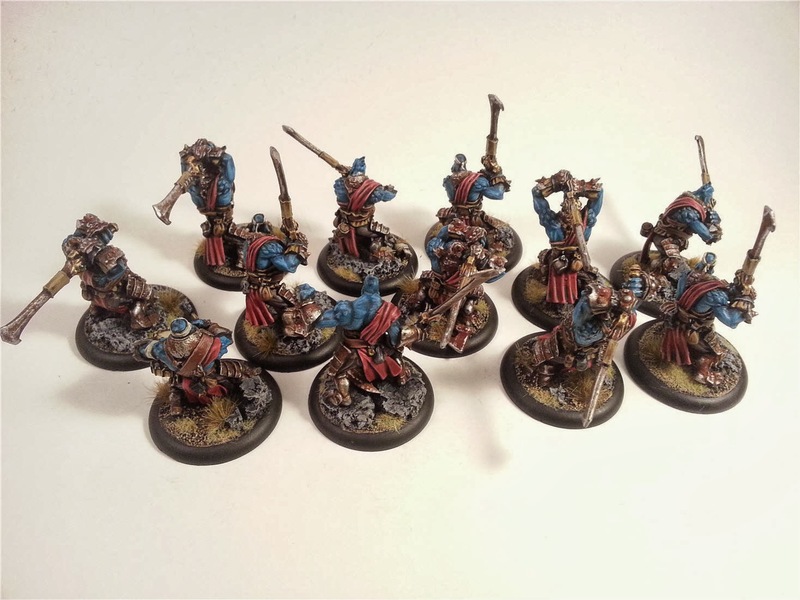 Also, working hard over the next few weeks to get my army ready for a tournament near the end of October so it will mostly be solos and maybe another beast, good times!